Premium mat prevents the mat moving and give you a perfect sports experience. Long service life, not easy to wear. True surface add a conspicuous white auxiliary line, make goal more accurate for your training. You\'re on the go, golfing partner is here! Easily pack our putting mat, store in your car and go about your travels! Its compact design & lightweight structure makes it easy for you to carry it. Easy assembly and set up means that you can start playing in a jiffy! Designed for vigorous play, our golf mat will take the roughest of hits! High-intensity putting mat gets better after each intense practice session. So, take your golf club and practice with confidence! Easily folds into a compact storage unit. Fits in any small space easily. Store in your cupboard, loft, shelf, drawer or basement! 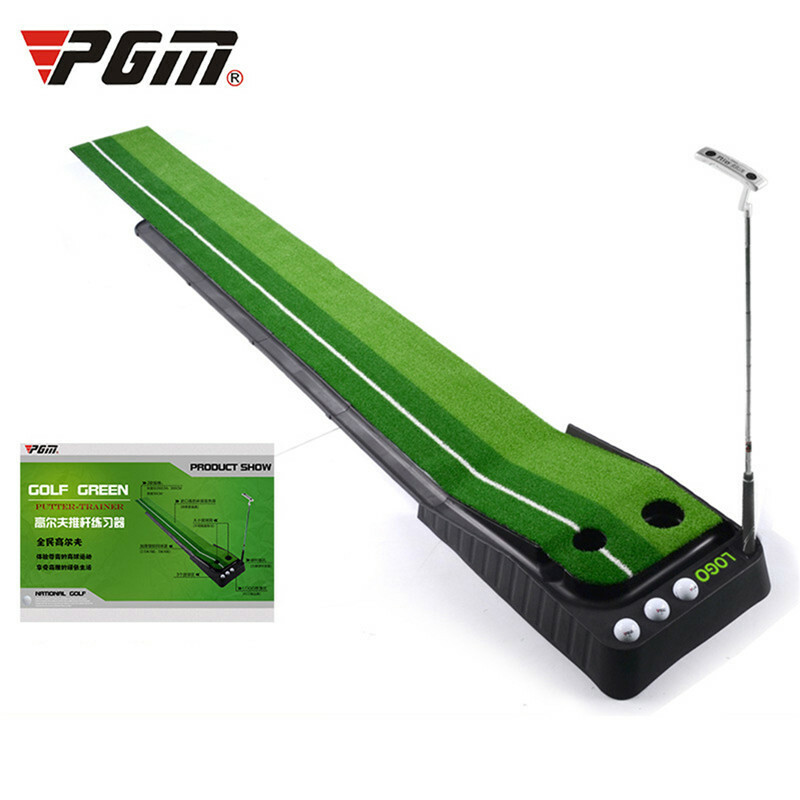 The golfing mat is specially made for safe indoor & outdoor usage. Designed to last for a long time, our putting mat will surprise you with its longevity! This package does not include a golf club!